The Chinese Foreign Ministry demanded Thursday that Canada release Huawei Technologies Chief Financial Officer Meng Wanzhou who was arrested at the behest of the United States on suspicion of violating anti-Iran sanctions. In an interview with National Public Radio on Thursday, US National Security Advisor John Bolton said that he knew “in advance” that Meng Wanzhou, the global chief financial officer of Chinese tech giant Huawei, would be detained in Canada upon request of the United States. President Donald Trump, for his part, was reportedly unaware of the plan. "I knew in advance. This is something that we get from the Justice Department. And these kinds of things happen with some frequency. We certainly don't inform the president on every one of them", Bolton said. 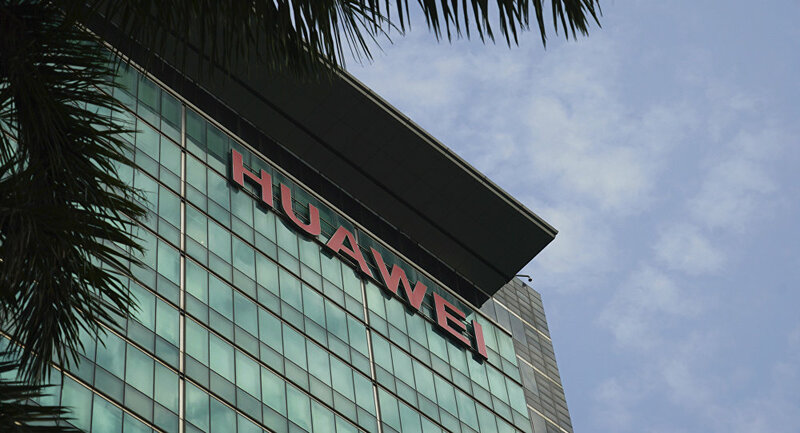 Without providing any further detail, Bolton said that Huawei is a company that US officials have been concerned about for a number of reasons. "So not respecting this particular arrest, but Huawei is one company we've been concerned about. There are others as well. I think this is going to be a major subject of the negotiations that President Trump and President Xi Jinping agreed to in Buenos Aires". He also refused to elaborate on whether the arrest was related to the sanctions against Iran. "I'd rather not get into the specifics of law enforcement matters. But we've had enormous concerns for years about the — in this country — about the practice of Chinese firms to use stolen American intellectual property, to engage in forced technology transfers, and to be used as arms of the Chinese government's objectives in terms of information technology in particular", he said. Canada's Prime Minister Justin Trudeau also said he had prior knowledge of the country's authorities' plans to arrest Meng Wanzhou but hadn't taken part in the decision-making process. "The appropriate authorities took the decisions in this case without any political involvement or interference… We were advised by them with a few days’ notice that this was in the works but of course, there was no engagement or involvement in the political level in this decision", Trudeau was cited as saying by the Global News outlet. The Chinese foreign ministry has demanded Canada release Meng and clarify the reason for the arrest. Meng, who also serves as deputy chair on the company's board and is the daughter of Huawei founder, was detained on 1 December in Vancouver over suspicions she violated US sanctions against Iran, media reported. Huawei, for its part, said it was unaware of any wrongdoing on the part of its chief financial officer.